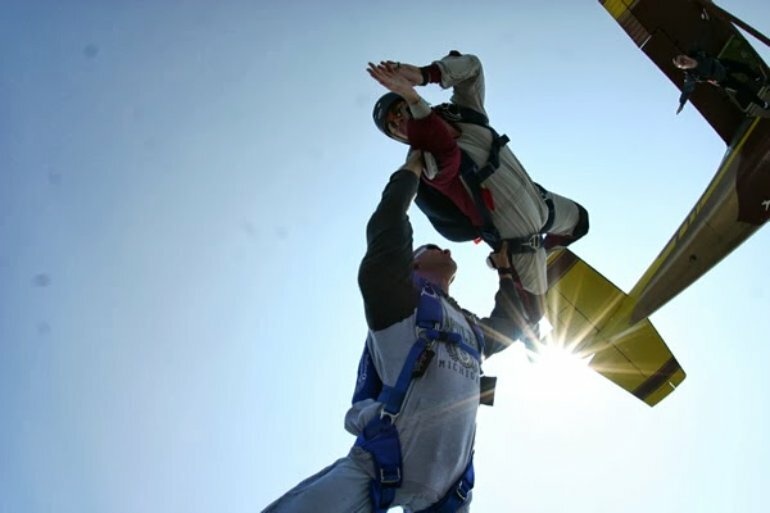 Accelerated Freefall Sky Diving Lessons in the Los Angeles Area. Ventura Skydiving Center offers the best skydiving lessons and instruction in the Los Angeles area. Licensed skydivers can jump for around $25. What a way to spend your day! Explore Southern California's magnificent outdoors recreation setting in the morning, then solo jump at Ventura Skydiving Center in the afternoon. It just doesn't get any better than that!